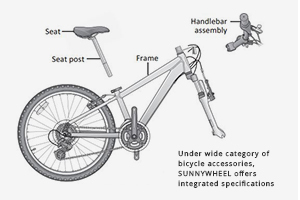 Ans Under wide category of bicycle accessories, SUNNYWHEEL offers integrated specifications to suit customer's different needs. Custom design and manufacturing is also available for gaining your strength to compete. Our Sales Team is friendly, professional and enthusiastic to serve your ideas and requests.